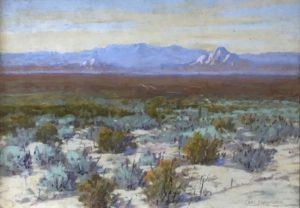 Carl Sammons learned the trade of sign painting in his native Nebraska before moving to California in 1913. In Nebraska, he had received lessons in art from the transplanted German painter, F.P. Frisch and also studied at the San Francisco Art Institute after moving to the Bay Area. For almost all of his long life, Sammons made his living as an artist, preferring to paint small-scale landscapes for the most part and selling them wherever he could find art galleries with clients. 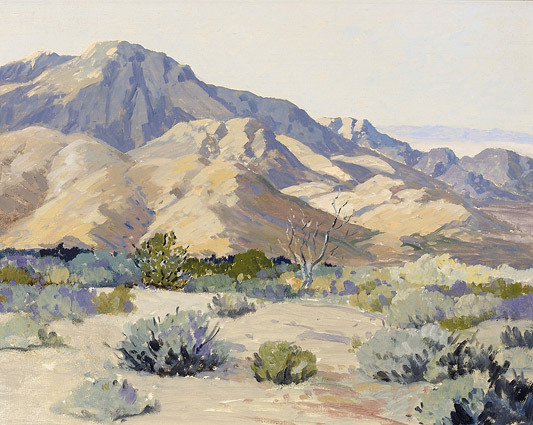 He was one of many plein-air painters, who disregarded the modernist movement as it took over California’s official art world around 1930. 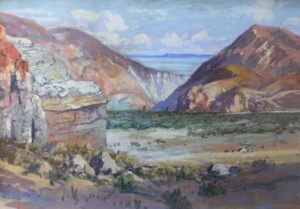 In 1920, he was prosperous enough to marry Queen Stewart from Petrolia, Humboldt County, and from that point on, he and Queen motored up and down the state of California, often camping out near scenic locations. 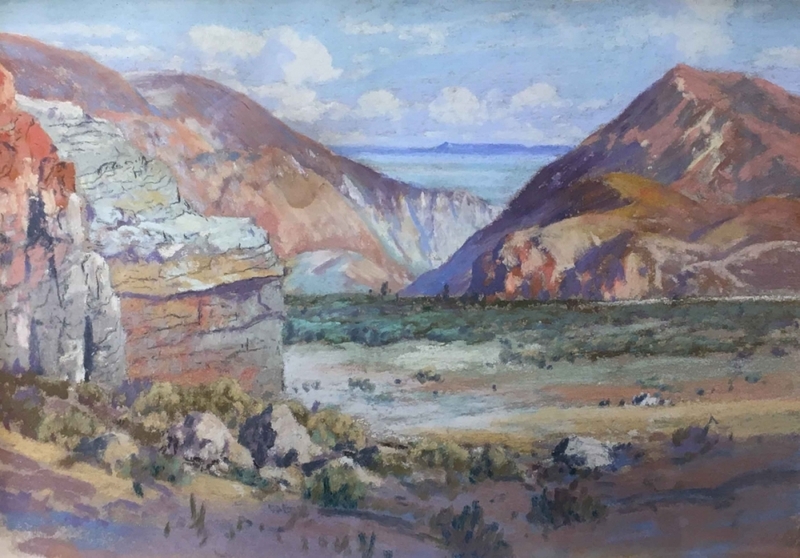 Sammons numbered L.P. Latimer and John Gamble as artist friends, and took a sketching trip to the Grand Canyon with the latter. 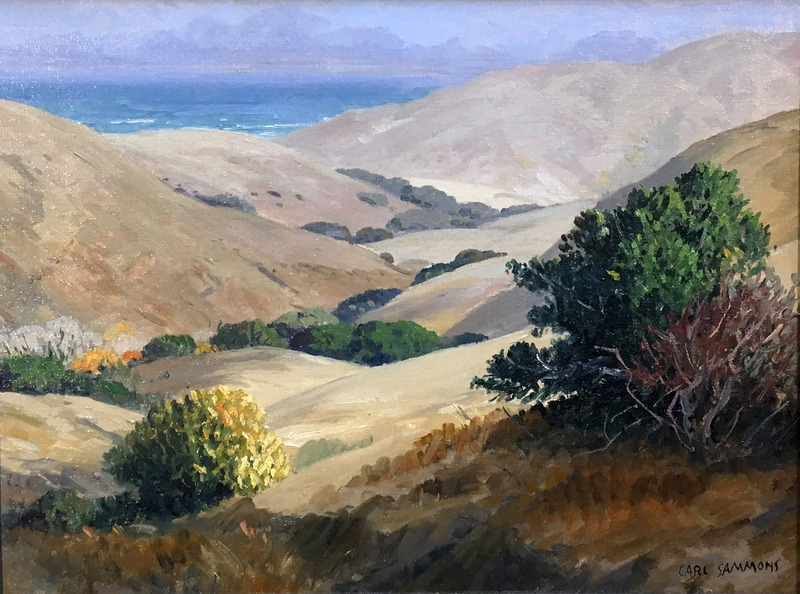 In his review of a Sammons exhibition held in Santa Barbara in 1928, Gamble wrote, “[Sammons] draws well and has a flair for clean, brilliant color. The sketches in pastel, are little gems and possess a richness of color which one seldom sees in this difficult medium. In his paintings in oil one finds the same purity and beauty of color which is characteristic of the pastels. (Morning Press, November 28, 1928).